Muscle cells are made up of a combination of specific proteins, which themselves are made up of a combination of specific amino acids. Some amino acids are not available in high enough quantities in a horse's usual diet & this can limit protein synthesis & therefore limit muscle growth. Studies have shown lysine, threonine & methionine to be limiting amino acids so Myostem Mass has been developed to contain high levels of these amino acids to encourage correct muscle development. 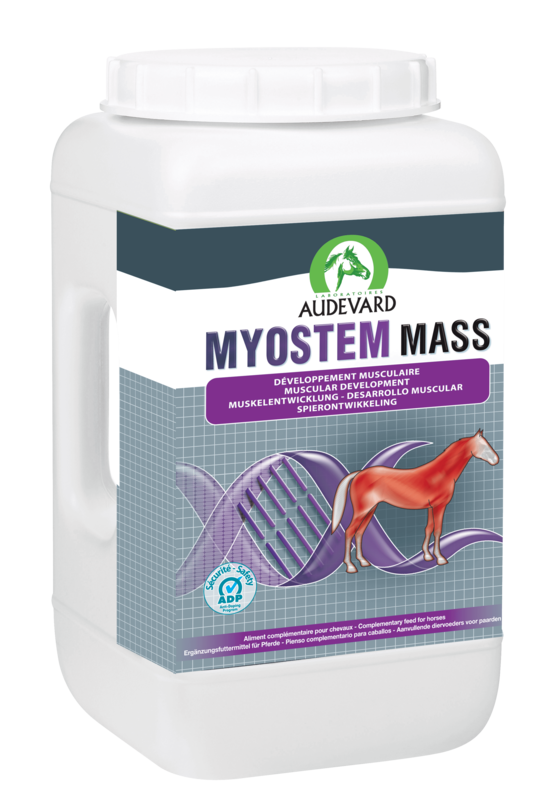 Myostem Mass also contains Bio-Mos, a prebiotic to help with digestion, and Fenugreek, which improves appetite in horses. Myostem Mass is ideal for use in horses in training for competition/racing, convalescing horses, elderly horses who are losing muscle, preparing horses for shows or auctions. Feeding Instructions- Adult horses: 100g daily within a few hours of exercise, for a minimum of 3 weeks.